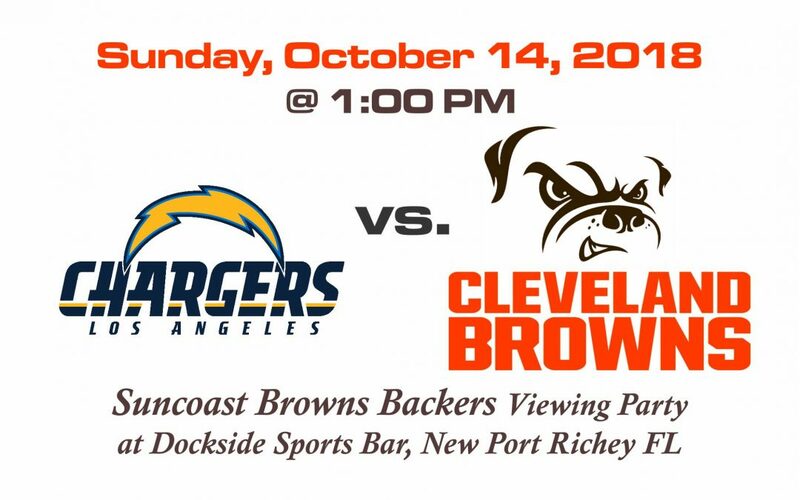 Join the Suncoast Browns Backers for our SUNDAY, OCTOBER 14th game viewing party – Los Angeles Chargers vs Cleveland Browns. 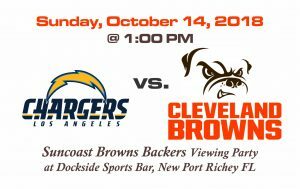 We will be in our Suncoast Dawg Pound at Dockside Grille. Game starts at 1PM. GO BROWNS!